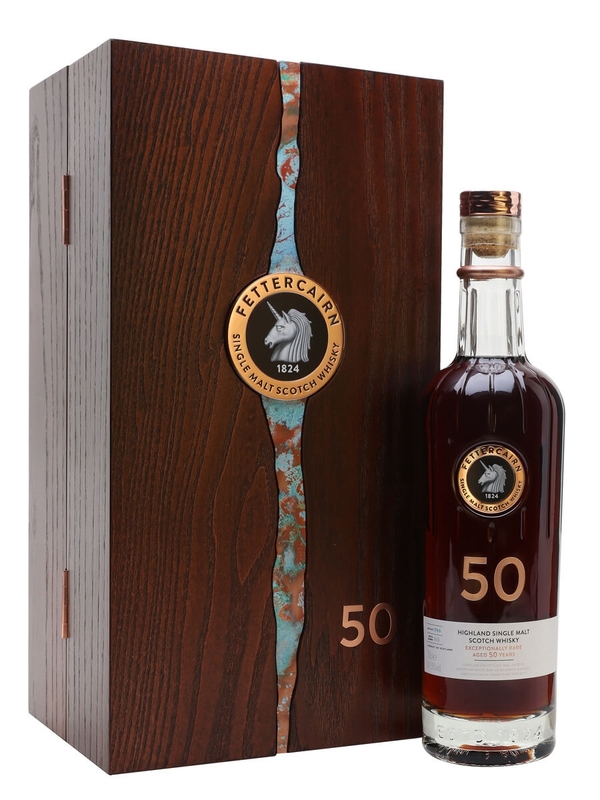 Long-aged, elegant and very carefully selected, this single cask release from Fettercairn, launched in 2018 to celebrate the revitalisation of the distillery's on-going whisky range, is an impressive whisky. Matured for 50 years in an American white oak ex-bourbon cask and then finished for a few years in a tawny port pipe, this combines elegant old whisky with a fresh kick of berry fruit, all without becoming unbalanced. Distilled on 11th June 1966 and laid to rest in American White Oak ex-bourbon barrels with a finish in Tawny Port Pipe (Cask No1). This refined single malt showcases a dark and rich colour, like the night enlivened with stars. Enticing aromas begin the drinking experience with ginger, spices, citrus peel, and apple; preceded by nuances of Morello cherry, over-ripe plums, and blackcurrant. A whisper of coconut and a hint of pineapple provide an unforgettable close. To taste warm spiced citrus, ground coffee, and toffee apple, give way to rich notes of port wine and sweet almond; burnt caramel and soft chewy liquorice notes round out this timeless treasure. This fifty-year old expression is non chill-filtered with no added colour.